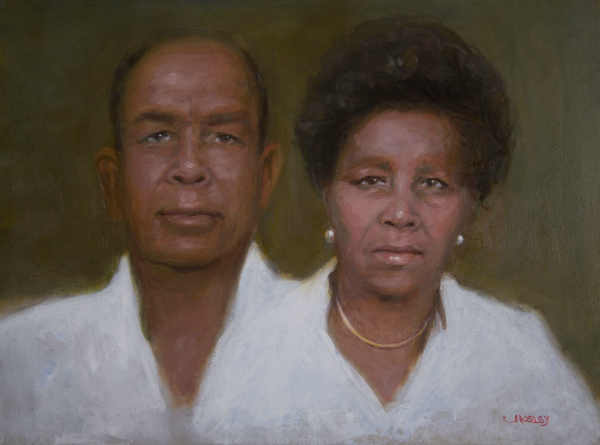 Walter Lynn Mosley started drawing at age 3, and began entering exhibitions and receiving awards in his early 20s in California. 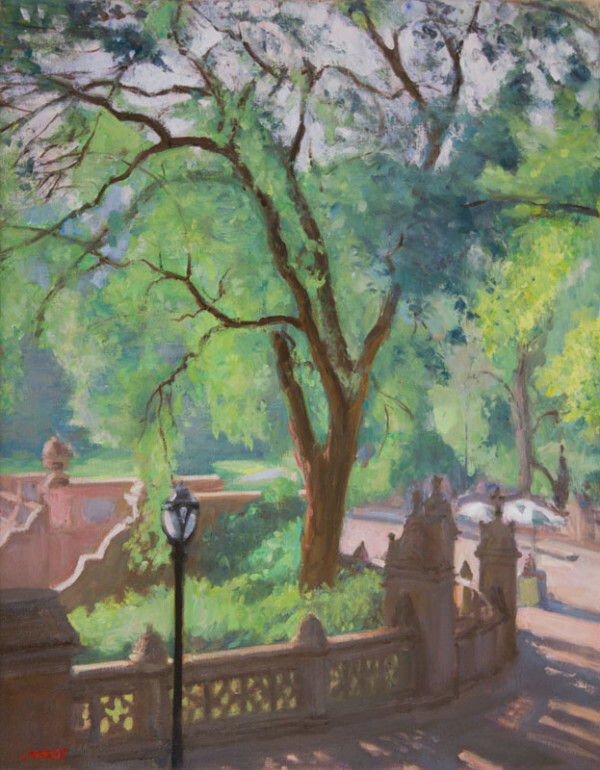 Walter is an American Artists Professional League Fellow and has also exhibited with the Allied Artists of America, the Audubon Artists and the Salmagundi Club (all in New York) as well as the Greenhouse Gallery and the American Impressionists Society. He was the first artist chosen to participate in the Bryant Park Painter in Residence Program in 2012. I delight in the visual world around me and consider it a joy to create. It’s my hope that the viewer will share in this enjoyment and my highest goal is to express a feeling that connects with the viewer. I take care of some business, and I paint. 2. What does your studio look like? Worktable with large glass palette paints and brushes nearby, paintings on the wall. 3. Tell us one unique thing about you/your art. I strive for some spiritual element to my art. 4. What do you love most about being an artist? The joy of creating, time doesn’t exist while I’m painting and I forget all worldly concerns. 5. Which is your favorite art piece so far and what is the story behind it? I worked with a model that liked to create his own costumes and he created an amazing Viking costume. 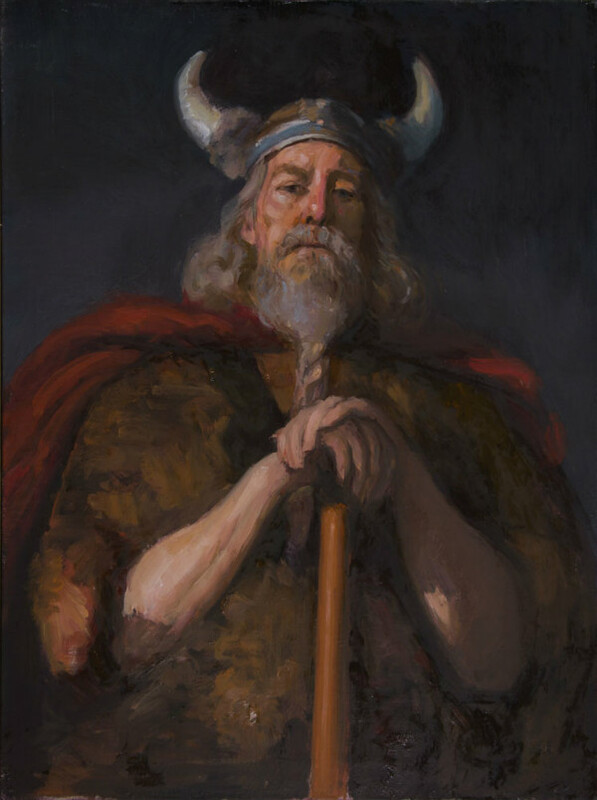 When I painted him I wasn’t painting a model wearing a Viking costume, I was actually painting a Viking. 6. What are three things you can’t live without in a day? Drawing or painting, listening to inspiring music, having green tea. 7. Where do you get inspiration when you need it most? From nature primarily and secondly from artists that I admire. 8. Lastly, what does success look like to you? Being able to create art full time.